​Disclaimer: The above PDF files are for educational and personal use only and are subject to their respective publisher's copyrights. 245. Yeru Liang, Chen‐Zi Zhao, Hong Yuan, Yuan Chen, Weicai Zhang, Jia‐Qi Huang, Dingshan Yu, Yingliang Liu, Maria‐Magdalena Titirici, Yu‐Lun Chueh, Haijun Yu, and Qiang Zhang, "A review of rechargeable batteries for portable electronic devices", InfoMat, 2019, 1-27. 244. Dapan Li, Changyong Lan, Arumugam Manikandan, SenPo Yip, Ziyao Zhou, Xiaoguang Liang, Lei Shu, Yu-Lun Chueh, Ning Han, Johnny C. Ho*, "Ultra-Fast Photodetectors based on High-Mobility Indium Gallium Antimonide Nanowires", Nature Communication, 2019, In press. 243. 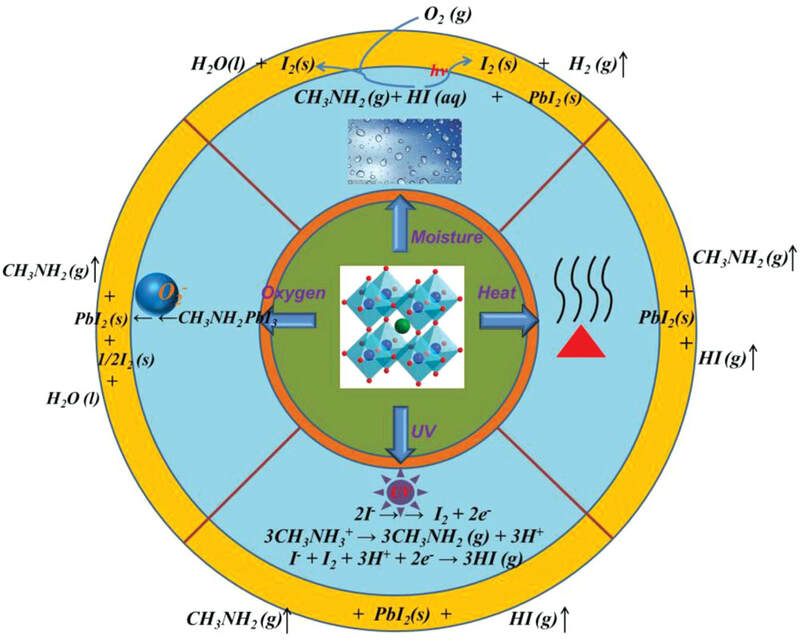 Cuo Wu, Jing Zhang, Xin Tong, Peng Yu, Jing-Yin Xu, Jiang Wu, Zhiming Wang*, Jun Lou* and Yu-Lun Chueh*, "A Critical Review on Enhancement of Photocatalytic Hydrogen Production by Molybdenum Disulfide: From Growth to Interfacial Activities", Small, 2019, In press. 242. Hsu-Sheng Tsai*, Chih-Hao Hsu, Chong-Chi Chi, Yi-Chung Wang, Fan-Wei Liu, Shin-Yi Tang, Cho-Jen Tsai, Hao Ouyang, Yu-Lun Chueh and Jenq-Horng Liang*, "Non-layered Ti2N synthesized by plasma process for the anodes of lithium-ion batteries", Inorganic Chemistry Frontiers, 2019, 6, 172. 241. Xinke Liu, Yuxuan Chen, Dabing Li, Sheng-Wen Wang, Chao-Cheng Ting, Lin Chen, Kah-Wee Ang, Cheng-Wei Qiu, Yu-Lun Chueh, Xiaojuan Sun, and Hao-Chung Kuo, "Nearly lattice-matched molybdenum disulfide/gallium nitride heterostructure enabling high-performance phototransistors", Photonics Research, 2019, 7(3), pp 311-317. 240. Chia-Wei Chen, Hung-Wei Tsai, Yi-Chung Wang, Teng-Yu Su, Chen-Hua Yang, Wei-Sheng Lin, Zhan-Hong Lin, Jer-Shing Huang and Yu-Lun Chueh*, “Design of Novel TiO2-SiO2 Core-Shell Helical Nanostructured Anti-Reflective Coatings on Cu(In,Ga)Se2 Solar Cells with Enhanced Power Conversion Efficiency”, Journal of Materials Chemistry A, 2019, In press. 239. Yu-Ze Chen, Sheng-Wen Wang, Chun-Chuan Yang, Chieh-Han Chung, Yi-Chung Wang, Sung-Wen Huang Chen, Chia-Wei Chen, Teng-Yu Su, Heh-Nan Lin, Hao-Chung Kuo* and Yu-Lun Chueh*, "Indoor Light-Activated 3D Cone-Shaped MoS2 bilayers-based NO Gas Sensor with PPb-Level Detection at Room-temperature", Nanoscale, 2019, In press. 238. ​Nguyen Van Truong, Tzu-Yi Yang, Phuoc Anh Le, Po-Jen Yen, and Kung-Hwa Wei* and Yu-Lun Chueh*, "A New Simultaneous Exfoliation and Doping Process for Generating MX2 Nanosheets for Electrocatalytic Hydrogen Evolution Reaction", ACS Appl. Mater. Interfaces, 2019, In Press. 237. Chia-Wei Chen, Yi-Ju Chen, Stuart R. Thomas, Yu-Ting Yen, Lung-Teng Cheng, Yi-Chung Wang, Teng-Yu Su, Hao Li, Cheng-Hung Hsu, Johnny C. Ho, Tung-Po Hsieh* and Yu-Lun Chueh*, “​Enhanced Power Conversion Efficiency in Solution Processed Rigid CuInSe2 and Flexible CuInGaSe2 Solar Cells Utilizing Plasmonic Au-SiO2 core-shell Nanoparticles”, Solar RRL, 2019, 1800343. 236. Po-Jen Yen, P. Robert Ilango, Ya-Chi Chiang, Chia-Wei Wu, Yung-Chi Hsu, Kung-Hwa Wei* and Yu-Lun Chueh*, “​Tunable Nitrogen-Doped Graphene Sheets Produced Through In Situ Electrochemical Cathodic Plasma Processing at Room Temperature and Their Use as Anode Materials in Lithium-Ion Batteries”, Materials Today Energy, 2019, On-line ASAP. 235. 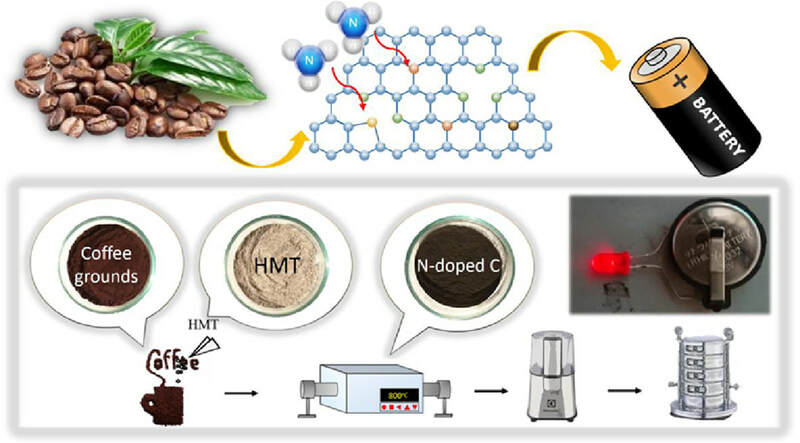 Shing-Yu Tsai, Rasu Muruganantham, Shih-Hsuan Tai, Bor Kae Chang, Shu-Chi Wu, Yu-Lun Chueh*, Wei-Ren Liu*, “Coffee grounds-derived carbon as high performance anode materials for energy storage applications”, Journal of the Taiwan Institute of Chemical Engineers, 2019, 97, pp 178-188. 234. ​Mao-Cheng Liu, Jun Li, Qing-Qing Yang, Yan Xu, Ling-Bin Kong, Rui-Juan Bai, Wen-Wu Liu, Wen-Jun Niu, Yu-Lun Chueh*, “Hierarchically Porous Ni3S2 Nanofibers as Binder-free Electrodes for High-Performance Sodium Ion Capacitors”, ACS Applied Nano Materials, 2019, On-line ASAP. 233. 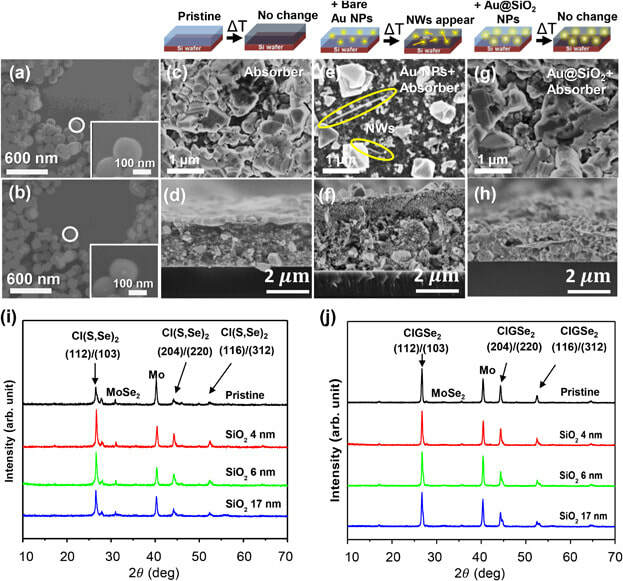 Wen-Wu Liu, Te-hui Wu, Mao-Cheng Liu, Wen-Jun Niu and Yu-Lun Chueh*, “Recent Challenges in Perovskite Solar Cells Toward Enhanced Stability, Less Toxicity and Large-Area Mass Production”, Advanced Materials Interfaces, 2019, 1801758. 232. Sung-Wen Huang Chen, Sheng-Wen Wang, Kuo-Bin Hong, Henry Medina, Chieh-Han Chung, Chun-Chia Wu, Teng-Yu Su, Fang-I Lai, Po-Tsung Lee, Shou-Yi Kuo*, Hao-Chung Kuo* and Yu-Lun Chueh*, “Enhanced wavelength-selective photoresponsivity with a MoS2 bilayer grown conformally on a patterned sapphire substrate”, Journal of Materials Chemistry C, 2019, 7, 1622. 231. Shin-Yi Tang, Henry Medina, Yu-Ting Yen, Chia-Wei Chen, Tzu-Yi Yang, Kung-Hwa Wei and Yu-Lun Chueh*, "Enhanced Photo-Carrier Generation with Selectable Wavelengths by M-decorated-CuInS2 nanocrystals (M=Au and Pt) Synthesized in A Single Surfactant Process on MoS2 bilayers", Small, 2019, 1803529. ​Selected as cover image. 230. Van-Qui Le, Thi-Hien Do, José Ramón Durán Retamal, Pao-Wen Shao, Yu-Hong Lai, Wen-Wei Wu, Jr-Hau He, Ying-Hao Chu* and Yu-Lun Chueh*,“​Van der Waals Heteroepitaxial AZO/NiO/AZO/Muscovite (ANA/muscovite) Transparent Flexible Memristor” Nano Energy, 2019, 56, pp 322-329.